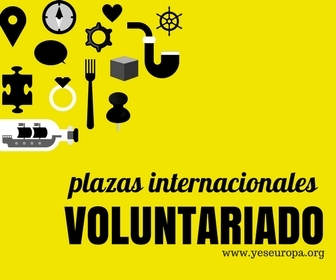 como solemos comentaros para poder aprovechar de un Servicio Voluntario europeo hay que tener mucha motivaciòon y sobretodo paciencia, ya que, a parte los casos “last minute” que publicamos de vez en cuando, suelen pasar hasta 6/8 meses desde que presenteis un CV y carta motivacional hasta que finalmente el proyecto haya sido aprobado y podais salir. La proxima fecha limite para presentar proyectos SVE es el 1 de Octubre de 2012, y las fechas mas proximas para salir serian enero/febrero de 2013. En este caso os presentamos esta interesante oferta SVE de 10/12 meses en Rumania, a partir de febrero de 2013. Nemere Trail have a good influence on the developing of the society in our region by helping and spreading the news about easily attainable healthy ways of living, and it also might contribute to the development of the local tourism. The complete route goes through around fifty settlements, touching at least 30 different mineral water sources and 187 mansions. It reveals the unique natural and cultural treasures of the Upper Three Chairs and offers a glimpse of the region’s customs, traditions and way of life. The length of the road is 230 km long on the whole, 150 km of which can be found in the area of Kezdivasarhely, and 70 km in Orbaiszék. We are looking for volunteers for at least 10 to 12 months starting in February 2013. – if a volunteer contacts us directly, then also please mark the name and contacts of the sending organisation (INGALICIA -2009-ES-70).